The romance and allure of the world’s most exotic destinations come home with Landara, a sophisticated take on luxury resort living. 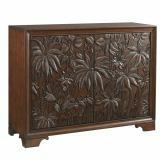 Dramatic styling, an eclectic blend of natural materials, and a rich designer finish offer a refined aesthetic that captures the elegant side of Tommy Bahama. 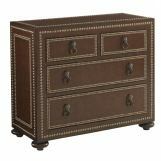 Transitional designs crafted from select hardwoods, Rosewood veneer, crushed bamboo, and leather-wrapped carved bamboo in a rich tobacco finish, with custom burnished brass hardware. 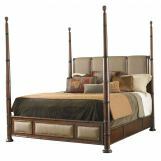 The bedroom offers similar mix and match options with 2 different nightstands and 2 different mirrors. 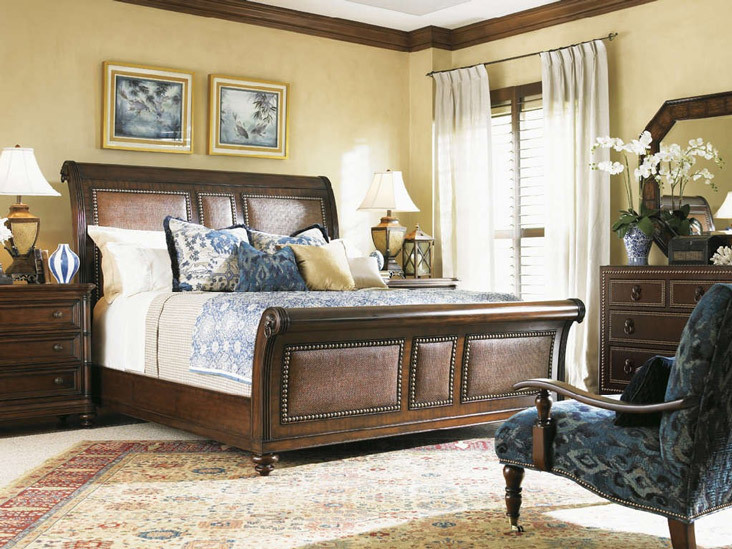 Give your home transitional style with a luxury resort living of the Landara Collection.